Like many student-led radio stations, University of Chicago’s WHPK is known for its quirky offerings. In what may be a first, however, WHPK will broadcast a memorial service Monday, May 26, 12–3 p.m., for opera DJ Hedy Staskus. The memorial service will be broadcasted during her regular timeslot and will feature personal reminiscences and music requests made in Staskus’s honor. Current requesters include the South Shore Opera Company, which Staskus supported. Listeners are also invited to gather at the studio during the service. Cameron Day, a WHPK DJ and second-year in the College, is gathering reminiscences and requests by e-mail (camkday23@gmail.com), although he did not personally know Staskus. Currently, the service is also slated to be recorded and made available on WHPK’s website. Chicago’s dog days are almost over. Yes, Armageddon has come for lovers of encased meats from Wisconsin to 61st street: Hot Doug's, famed provider of bratwurst and sausages of all types since 2001, is closing its doors. Doug's, which on busy days can serve up to 800 of the world’s best hot dogs, gained notoriety for owner Doug Sohn’s refusal to comply with a city-wide foie gras ban in 2006, when he continued to serve duck fat fries and foie gras dogs (the latter named in honor of Alderman Joe Moore, who spearheaded the ban) despite incurring the wrath of Chicago culinary legend Charlie Trotter. The restaurant burned down in 2004, after which it rose, phoenix-like, from the flames of its destruction to hot dog glory at its current location on California and Roscoe. It has since been featured on shows like No Reservations and as one of Bon Appetit’s 50 Best Restaurants on the Planet. 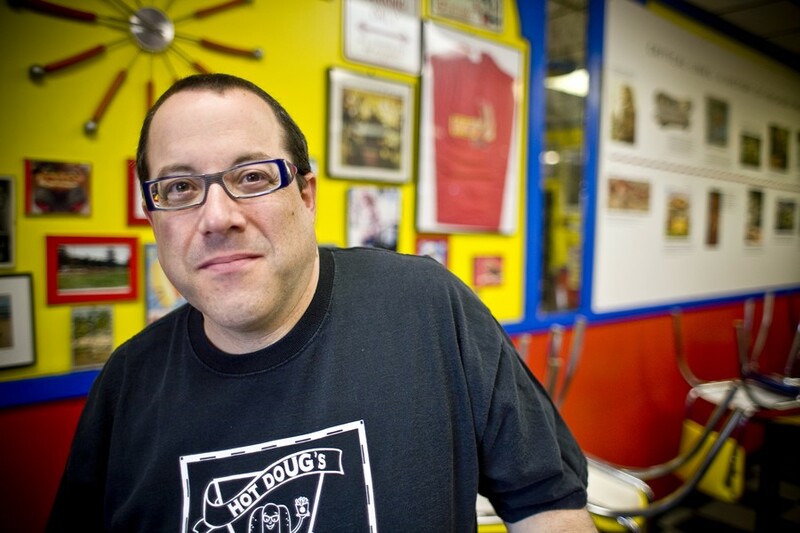 Even so, Hot Doug’s could not survive the vacillations of its mercurial owner, wiener wunderkind and sausage savant Sohn. "There really is no overwhelming reason other than it’s time to go do something else,” Sohn told DNAinfo Chicago. “The plan is not to own a restaurant anymore.” The restaurant, known for its bangin’ bangers and specials named after an ever-rotating gallery of female celebrities (based largely on Doug’s current tastes), will go on “permanent vacation” on Saturday, October 4. You have until then to run, walk, or crawl the 14 long miles from Hyde Park to North California avenue for what are—until October at least—the best rabbit, duck, beef, pork, lamb and alligator dogs in the whole damn world. If only Doug’s buns could soak up tears as well as mustard.